Students who have spent just 20 hours using MobyMax average one full grade-level increase in language. These results are due to MobyMax’s pedagogy, which incorporates multiple research-based techniques that have proven highly effective in increasing student achievement. 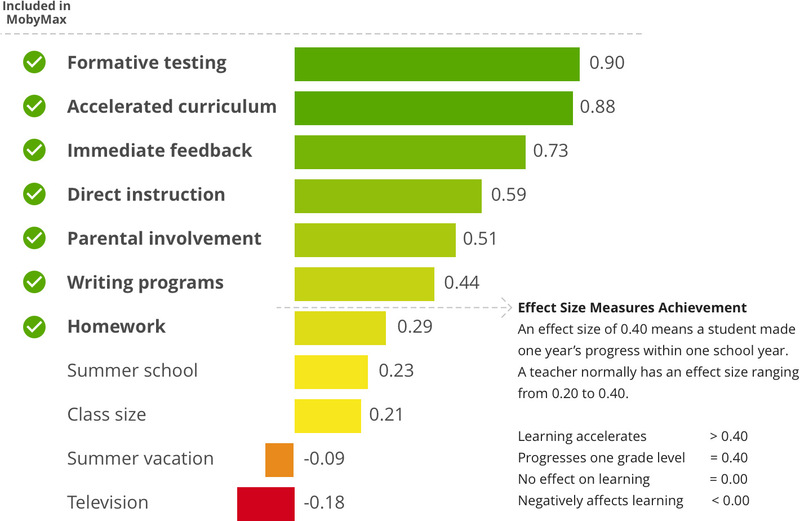 MobyMax’s pedagogy incorporates the most effective practices for increasing student outcomes as identified by Professor John Hattie’s exhaustive research that synthesized over 1,000 meta-analyses of over 50,000 studies.